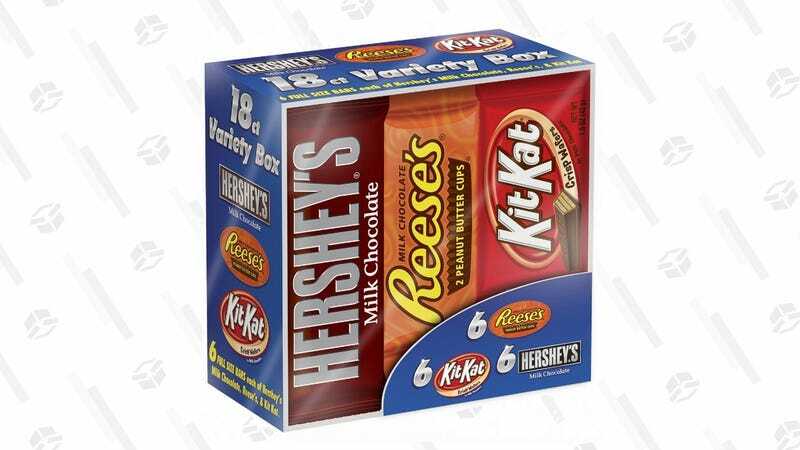 This Is Not a Drill: 18 Full Sized Candy Bars For $7! Everyone knows that the day after Halloween is the best time of the year to save on candy, but you can get a head start today on Jet, which is selling 18 <Chris Nolan brraaaaaam noise> FULL SIZED candy bars for just $7. You get six Hershey’s bars, six Reese’s, and six Kit-Kats, and since they won’t arrive until after Halloween, you’re under no obligation to give them away.